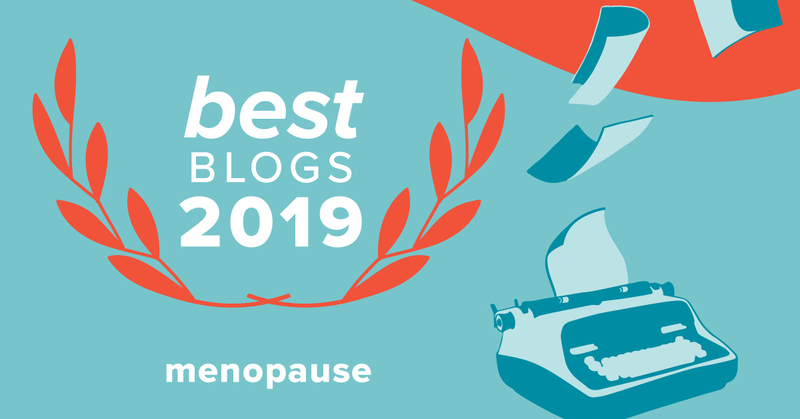 This post is from Lori Ann King, best-selling author of Come Back Strong: Balanced Wellness after Surgical Menopause. I went into surgery, hoping and trusting for the best-case scenario: the simple removal of an ovary, cyst, and fallopian tube. I was excited to erase the pain that was burdening me. I didn’t expect anything else to happen. I awoke to learn that the worst-case scenario had happened: I had received a full hysterectomy as well as a double oophorectomy. Uterus, cervix, ovaries, fallopian tubes—everything had been removed due to the severity of endometriosis that had been found. I expected to be pain free when I woke. It didn’t work that way. I was in severe pain. I was tired. I was afraid. I couldn’t pee or poop. My body felt and looked swollen and bloated. This was uncharted territory, and I had no idea how to fix it. I suddenly experienced all the symptoms that many women report in natural menopause including weight gain, slow metabolism, low energy, fatigue, insomnia, lack of focus, and a roller coaster of emotions that leave us feeling overwhelmed, highly stressed, and out of balance. In addition, hot flashes, night sweats, and vaginal dryness affected my health, relationships, and even my passion and sense of purpose. The more symptoms I had, the more hopeless and powerless I felt. The worst part was that these symptoms hit me all at once. And, in spite of following a strict diet and exercise plan, I gained 26 pounds in 26 months. The big deal was that I was struggling physically and emotionally, and I didn’t know how to help myself feel better again. As my doctor worked with me to find the right dosage of bioidentical hormones, I learned that hormone replacement therapy (HRT) is not an exact science. In fact, it seemed a bit like a guessing game as we attempted to balance my hormones and emotions and help me feel good again. The hardest part, perhaps, was that it simply took time to get it right. I discovered that wellness is more than a state of health where you are free of illness. It is a state of well-being that is the result of deliberate effort. In the months that followed, I found solutions for my symptoms through complementary medicine and lifestyle changes. I worked on improving my thought life and my emotions turned toward the positive. Overall, through the journey of surgical menopause, I found hope in my ability to come back strong. For more information or to purchase Come Back Strong, visit www.LoriAnnKing.com. Amazon: Here’s the link to Come Back Strong on Amazon. Giveaway: Lori is offering a copy of Come Back Strong to one Friend for the Ride reader. For a chance to win, please enter a comment by April 1. Thanks! Lori is also a cyclist and body builder, and was a runner for over twenty-five years, competing in races ranging in length from two to 26.2 miles. She has an undergraduate degree in Recreation from Western State College of Colorado and an advanced certificate in Information Management from Syracuse University. She currently resides in the Hudson Valley of New York with her husband, Jim. Previous postGrandmas Take Note: A New Picture Book about the Potty! Next postAlways Discreet Boutique: A Giveaway! I think too many people pass off a complete hysterectomy/ surgical menopause as just a procedure instead of realizing that not only have you had all your reproductive organs removed you now face menopause,and usually earlier than normal! It is an overwhelming event for a woman to go through. My best thoughts to Lori-Ann for dealing with this and then bringing her story forward to help others. Thank you for reading Diane. You are so right. I knew a hysterectomy was a possibility, however, I did not realize it was major surgery and would take longer to recover. I also had no idea about the suddenness or intensity of surgical menopause that came after. I was very unprepared. I’m grateful for forums like this one (Friend For the Ride) that offers so much support. Great post! I remember the struggle with the physical and emotional response to my surgical menopause. My physician provided very little information or support, so I did a lot of reading and trial/error to find options that worked. Thank you for reading Sharon. It is unfortunate that so much of our healing and recovery comes from our own research. However, it was also very empowering. How long ago was your surgery?